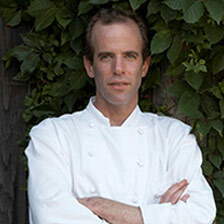 Dan Barber is chef and co-owner of Blue Hill, in New York City, and Blue Hill at Stone Barns, located within the nonprofit Stone Barns Center for Food and Agriculture. He is the author of The Third Plate: Field Notes on the Future of Food, and his opinions on food and agriculture policy have appeared in the New York Times and many other publications. Dan, an ICC alumni, has received multiple James Beard Awards, including “Best Chef: New York City” in 2006 and the “Outstanding Chef” in 2009. Also in 2009, he was named one of Time magazine’s 100 most influential people in the world. 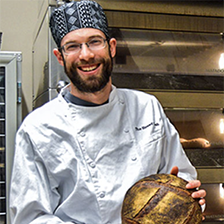 Jonathan Bethony, baker at Blue Hill at Stone Barns, led Washington State University’s Bread Lab from its inception. Several baking-related jobs followed his graduation from the acclaimed San Francisco Baking Institute. He then began developing artisan bread programs for area bakeries, including Good Earth Natural Foods in Marin County, where he strove to produce the highest quality products using local and organic ingredients while employing time-honored processing techniques. This journey led Jonathan to the doorstep of the famous Craig Ponsford, who introduced him to the latest and greatest trends in whole-grain milling and baking.